Unfortunately, quite a lot of games, apps and media available today (not only for Android Smartphones but in general) are items whose presence erodes or evaporates the little bit of innocence we have left, if we are talking about blatant sexual things or things with excessive violence. In other words, just look how many things we cannot show our small kids or let them play. 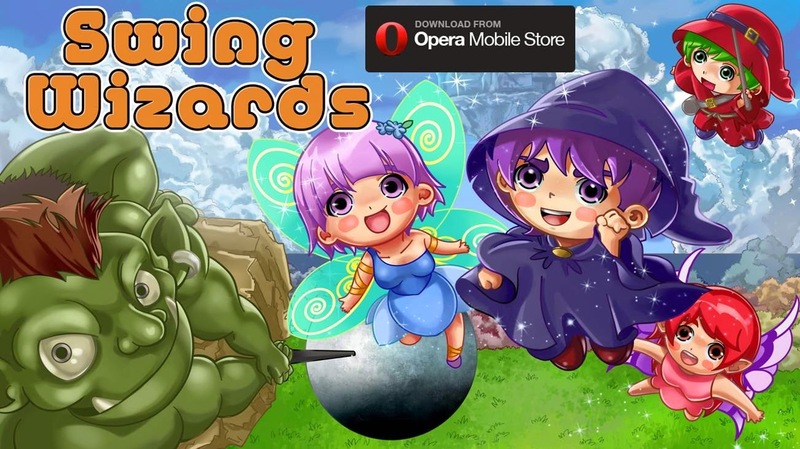 On Android Review Center we are quite pleased to showcase from time to time apps that do act to keep our innocence and as a consequence are suitable for kids, though not limited to them. In this case, we would like to introduce Swing Wizards by Earth Little. 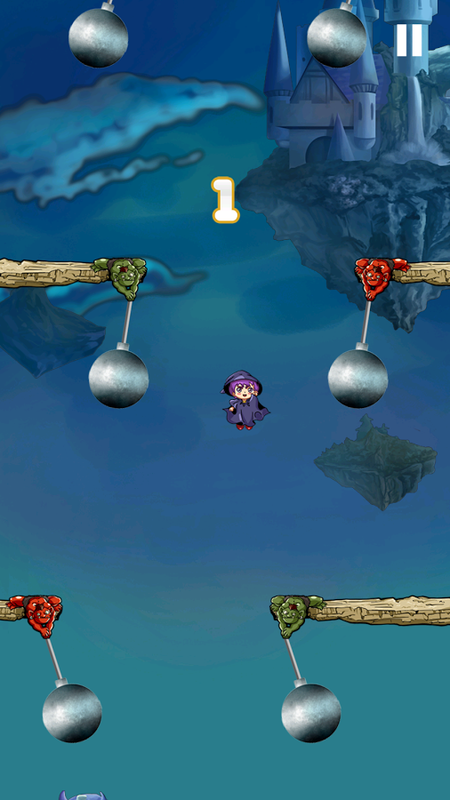 The gameplay for Swing Wizards is quite simple, though the game is far from being easy. 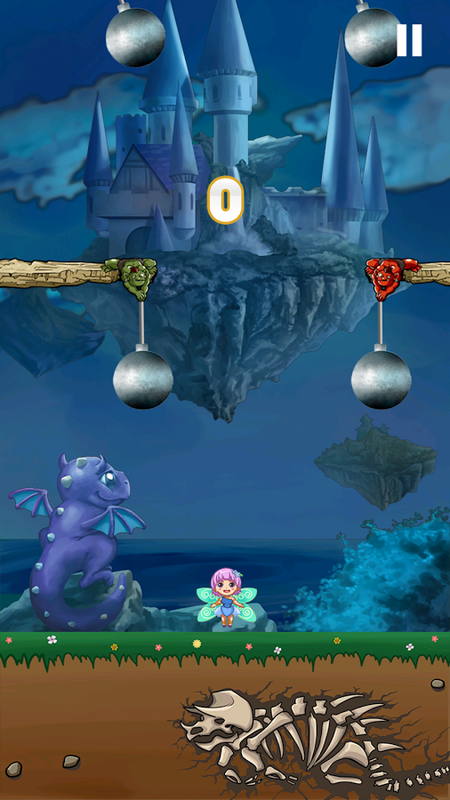 The player gets to play one of four flying fairy tale characters, from wizards to several kinds of fairies. 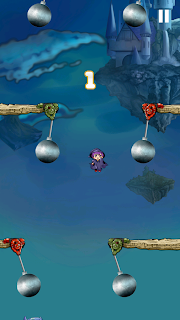 Then, the player must fly his character to safety and escape the orcs with their steel balls and the other obstacles in the game. With some similarities to Flappy Bird, the game is all about reflexes, quick reactions and thinking ahead, planning the course of the flying character. Controlling the flying wizard or fairy is simple and intuitive but the difficulty gets harder as the game progresses. The backgrounds, characters and the graphics in the game are something. It is clear a lot of effort has been invested in making a game that will look REALLY beautiful, if it's the castle or forest backgrounds, to the painstakingly drawn characters to the enemies themselves. Everything is a real eye candy. Swing Wizards is the game of choice for adults who want to hone their reflexes and enjoy a fantasy game, with no guns, robots and bombers of any kinds. Of course, it is quite a safe game for kids with little to no violence, safe environments and simple gameplay that will nonetheless challenge the kids' hand to eye coordination.